White and Blue Blog for a True Greece Experience: The Six A’s to stay in Greece and see it all! 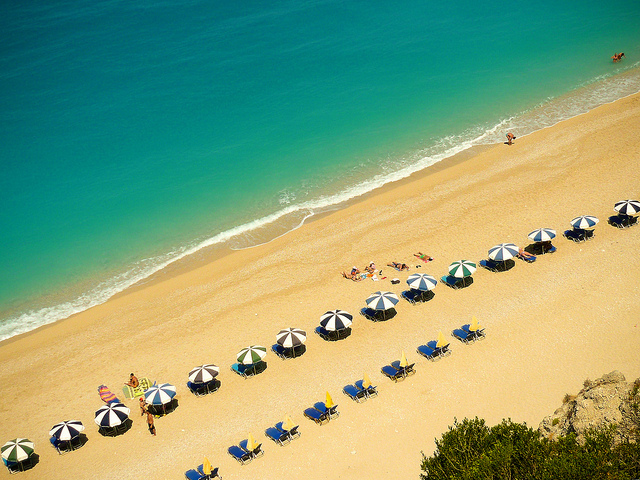 The Six A’s to stay in Greece and see it all! Greece is an amazing country and has lots to offer and many things for the visitor to see! There is an abundance of sights, tastes, sounds and feelings to experience first hand, but it requires much time and careful planning to get most of it! Thankfully there are shortcuts that can help you explore the small Mediterranean country with the 300 days of sun! It’s the six A’s! This design hotel opened recently and awed locals and tourists alike with its unmatched contemporary style and excellent location. On the most picturesque road of the Greek capital, Dionyssiou Areopagitou street, with undisturbed view to the Acropolis from its upper floors and roof terrace. 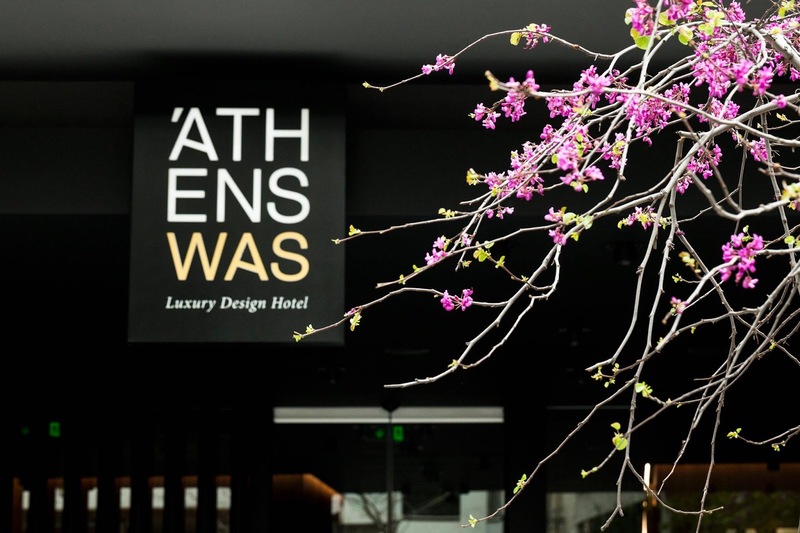 It’s the perfect hotel to explore downtown Athens on foot! The Parthenon, all the Museums, the ancient temples, the Byzantine churches, the bars and the clubs, everything is just a short walk away from AthensWas. You’ll definitely gonna need a pair of comfortable sneakers and something smart for any visit to a posh restaurant or bar after. Talking about smart, Athens is a great city to go for shopping! Big international brands, local cutting-edge designers, exclusive boutiques and high-street fashion all come together in the posh suburbs of the city; and no place is posher than old-money favourite Kifissia. There you’ll find ateliers, exclusive shops and unique pieces of fashion that will make your wardrobe stand out! 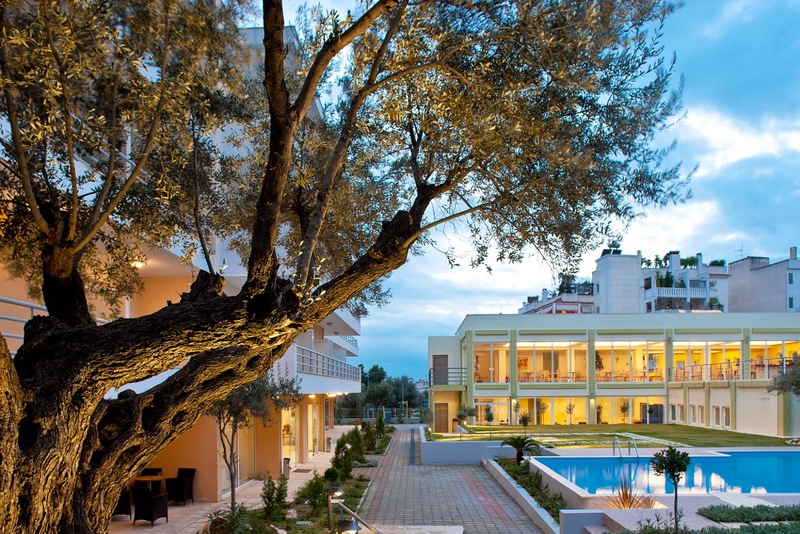 But there’s more, Maroussi, next to Kifissia, is considered the shopping mecca of Athens, with three large shopping malls and countless dedicated brand stores for any budget! Attik is ideally located in Maroussi, close to Kifissia and a few minutes from the metro line 1 that connects Piraeus-Athens-Kifissia. Discover the rugged mainland that started a rebellion! The Greek War of Independence, this great and historic moment for all of Greece and Southern Europe, started from here, the Peloponnesian peninsula, when brave people decided to stand up against their oppressive Ottoman rulers! The Maniots were the first to declare war and it was a matter of months before they freed all of the Peloponnese, without any real help from outside! 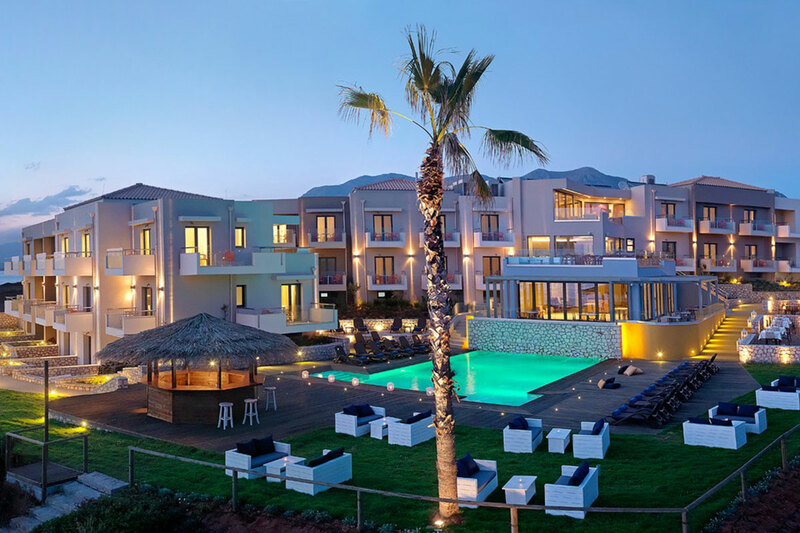 The extraordinary location of Alas Resort is close to most sites you’d want to visit, like Monemvasia, Mistras and Tripoli, while also close to Sparta and many more important ancient locations. 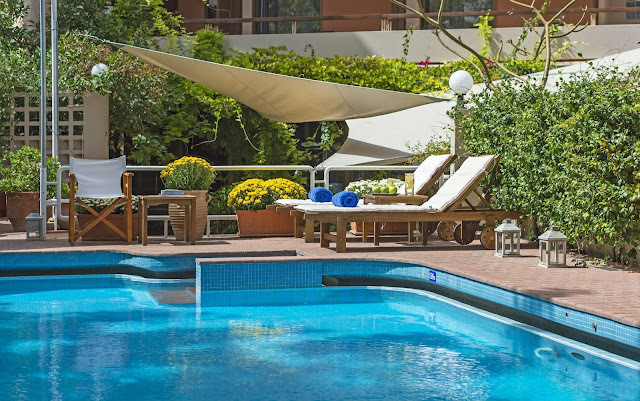 After all this history lessons, we suggest you relax at the hotel’s spa and let it all sink in! Google or Bing “Greece” and the first image it finds is probably from Santorini. This volcanic island makes the list of top 10 places to visit in the world every year and there are good reasons for that. Considered the most romantic attraction for young couples or as the perfect place to rekindle a flame, Santorini sports probably the best views of the sunset in the Mediterranean sea! Head with your spouse for one of your most romantic stays, overlooking all the Caldera from the amazing vantage point Astarte offers. This couples only retreat offers privacy and luxury, while you visit an awe in Santorini’s beauty! Need more info on what to do on Santorini? The hotel’s concierge team at the front desk can help you and suggest some of the best sights and tastes, like wineries, museums, beaches and vista points to visit. Was Santorini too touristy for your tastes? Were you looking for a more authentic, unspoiled destination? The Cyclades group of islands has many hidden treasures, but Folegandros could be -hands down- its biggest one. You can get to the island only by ferry or helicopter. This has lead to fewer tourists visiting than its largest neighbors Santorini and MIlos and its residents continuing to rely on fishing and natural resources for their income instead of tourism. These factors have allowed Folegandros to remain honest with its past and untouched. Its people are welcoming, its beaches are isolated and its town hosts some of the most memorable folk fests! Folegandros takes your breath away with its natural scenery and enchants you with its ruggedness and style. 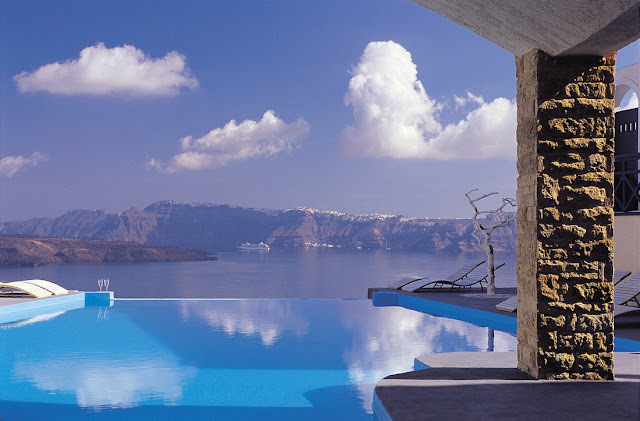 Staying at Anemi elevates your experience to architectural and style heaven, with a philosophy of bare cycladic luxury! Chania, in Crete, is one of the most beautiful towns of Greece. It’s charming and energetic, but retains its historic Venetian aesthetics while it hosts some of the most wonderful beaches in whole of Europe! Stay at Akali and everyday trip somewhere with a rental. Don’t miss the beaches of Balos, Elafonisos, Falassarna, Kolimbari and Grammenos, moreover Samaria Gorge is a must-visit for the hikers! Chania is considered one of the most visited towns by Greek tourists from the mainland, so that says a lot. Trust what Greeks do - and do as them too, meaning enjoy the amazing food you’ll find at Chania, after all, Crete is not only the birthplace of Western civilization, but also of the Mediterranean diet!